Dr. Bob Musil was a featured speaker at the University of Michigan and hosted by Dr. Anna Kirkland of the Institute for Research on Women and Gender, along with Dr. David Schoem of the Michigan Community Scholars Program, as well as the School of Public Health Environmental Health Sciences, the ADVANCE Program, and the Center on Lifestage Exposures and Adult Diseases. 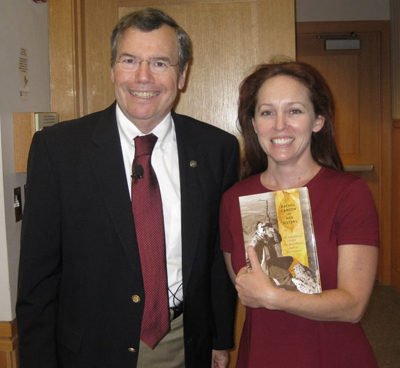 In his lecture on “Rachel Carson and Her Sisters,” Musil linked Rachel Carson’s work to Michigan, especially studies of dead robins exposed to DDT, and the role of two prominent University of Michigan women featured in his book — Dr. Alice Hamilton, the founder of environmental and occupational medicine, and Dr. Sandra Steingraber, contemporary author, environmental health expert, and activist. 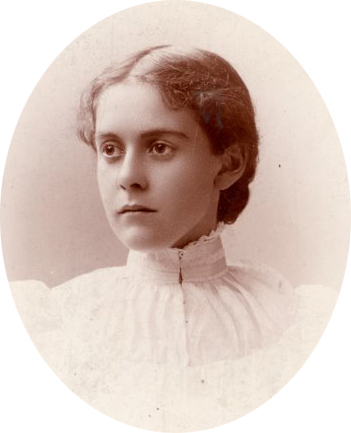 Alice Hamilton, a graduate of the University of Michigan School of Medicine, Class of 1893, worked closely with Jane Addams, the Nobel Peace Prize-winning founder of the Hull House Settlement in Chicago. Hamilton did the earliest studies and exposes of worker exposures to lead, mercury, and other toxins and led efforts throughout the 20th century to get dangerous chemicals out of workplaces and consumer products. Hamilton inspired several generations of activist scientists and physicians and remained active until her death at 101 near the first Earth Day in 1970. Steingraber, like Carson, combines poetic prose with rigorous science in books describing the effects of chemicals on human health. A published poet with a Master’s in writing, Steingraber also earned her Ph.D. in biology at the University of Michigan, has written several influential books, and is also currently engaged as a leader nationally in anti-fracking efforts. Musil urged his audience to emulate Carson, Hamilton, and Steingraber and combine rigorous science with fine writing, emotion, and responsible advocacy. While on campus, Musil also taught classes in environmental literature, sustainability, and religion, and the introductory course required of all 130 entering community scholars which combines a rigorous program of scholarship and student engagement in service to the community and nation.